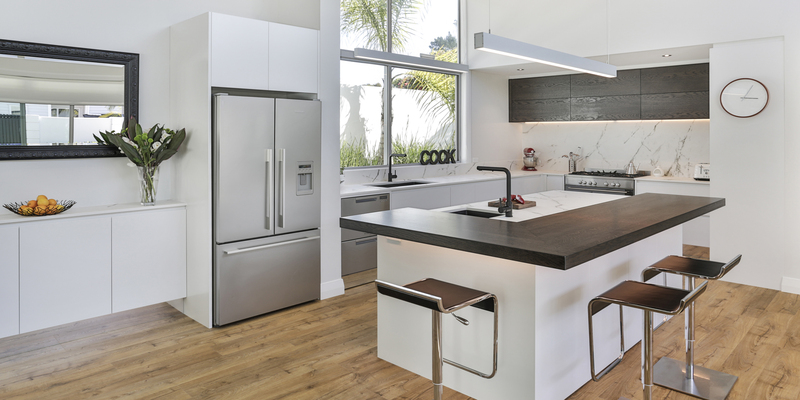 This modern family kitchen was designed as part of a large rethink and renovation of an open-plan living space. 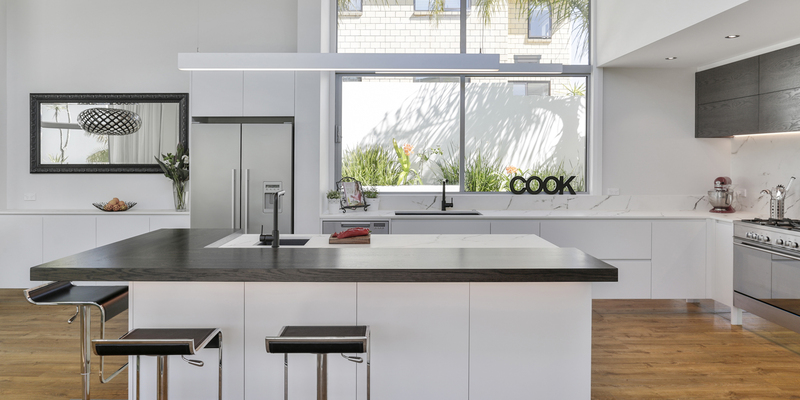 Kitchens By Design were actively involved in the re-design and provided all of the built-in cabinetry in the dining and living areas, as well as the kitchen. The existing kitchen had become too small for this growing family’s needs, so the designer opened the new kitchen up, extending its footprint and creating a large island with an L-shaped oak breakfast bar that has now become a favourite hangout for the entire family. 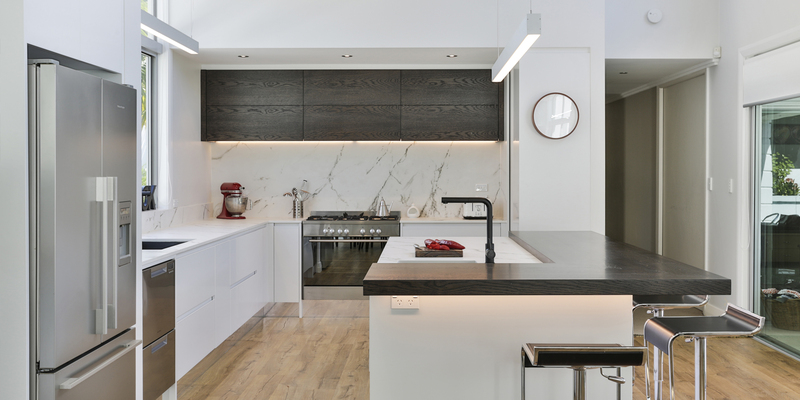 The designer linked the island to the rest of the kitchen by using the same marble-look material as the work surface and splashback, and dark-stained oak for the above-bench cupboards along the back wall. 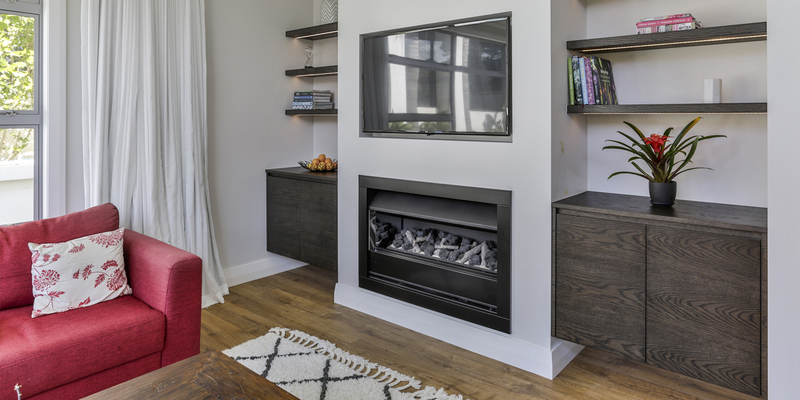 The material links continue in the rest of the new space, with same white cabinetry and benchtop used for the built-in credenza in the dining area, and oak for the shelving and cabinetry in the lounge. 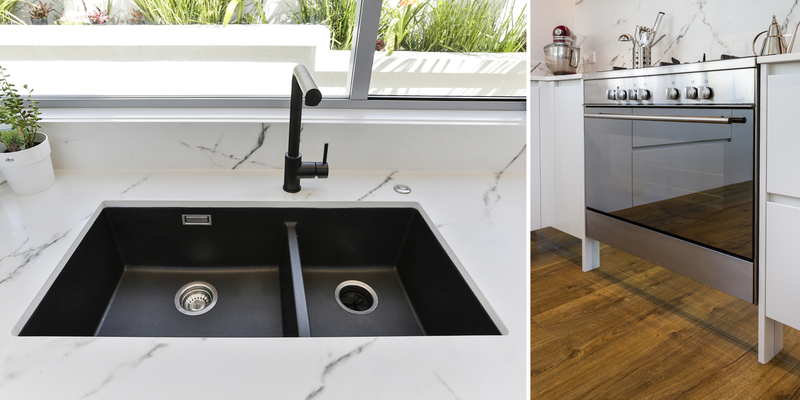 The designer linked the island to the rest of the kitchen by using the same marble-look material as the work surface and splashback.